Temperature and weather sensors from Campbell Scientific are able to measure soil moisture, temperature and heat flux, which assists those in the agricultural industry to manage and predict drought like conditions. The Australian Bureau of Meteorology explains that drought “disrupts cropping programs [and] reduces breeding stock,” and it can cause soil erosion. If soil is low in water content a chain of reactions occur whereby crops and other vegetation no longer grow and begin to die. This is because they fail to receive sufficient amounts of water, which in turn means breeding stock do not have access to adequate food quanitities. These temperature and weather sensors are equipped to monitor soil moisture, temperature and heat flux on a constant basis, which allows property owners and caretakers to take the appropriate action when required. Property owners and caretakers can accurately record soil moisture, temperature and heat flux on a daily basis, as the temperature and weather sensors are compatible with the company’s range of data loggers. This allows them to clearly see when abnormalities arise, such as extreme dryness, and take the appropriate actions required to counteract them. They may achieve this by, for example, physically travelling to the affected area to supply crops and vegetation with more water, or by turning nearby irrigators on. The temperature and weather sensors are made from highly durable materials, so they are able to deliver the most accurate results at all times, even in adverse weather conditions. The Australian Bureau of Meterology explains “Australia has one of the most variable rainfall climates in the world,” and this is a well known fact amongst most Australians. 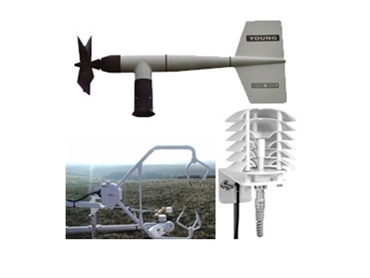 Temperature and weather sensors from Campbell Scientific help property owners and caretakers take control of the health and quality of their crops, vegetation and stock amidst Australia’s constantly changing climatic conditions and weather patterns.